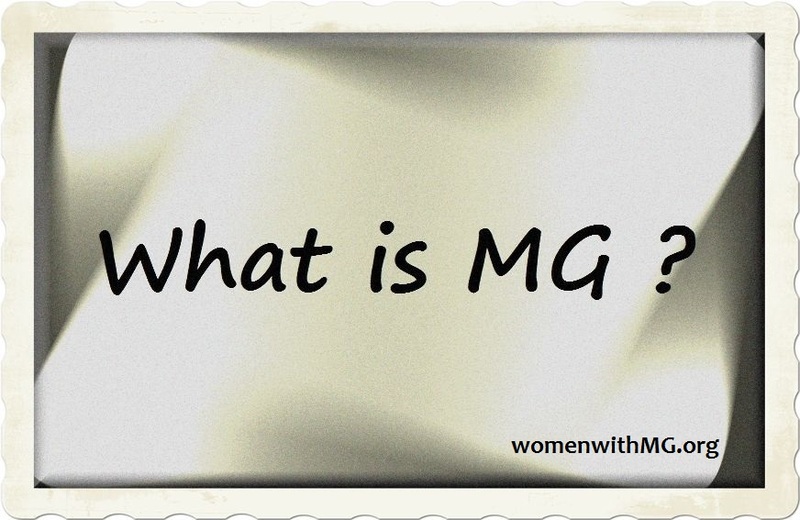 As part of MG Awareness Month we are sharing personal stories written by individuals impacted by MG. Today’s post is written by Jessica Ali. October 2010, my 4 year old daughter told me she saw “two mommies” when she looked at me. I didn’t think much of it because I figured she was being silly. I took her out to lunch that day, just her and I. She seemed to be a little off, but again, didn’t put a whole lot into it. That evening my husband came home from work and said that her eye looked droopy. I got her into an appt that evening. Her pediatrician said that she was fine, she just needed attention and was probably feeling left out having a little brother at home. I was relieved. Although deep down I didn’t believe it, I wanted to think that she was fine and that this was all in my head. Well, a couple of days later my sister-in-law (who works for an optometrist) immediately noticed her eye and told me to bring her to her job that day. She wanted her checked out and said that isn’t normal. The optometrist immediately wanted us to go to a neurologist. He thought it was bells palsy. Wasn’t the correct diagnosis, but not bad for an optometrist, especially since a pediatrician said she was faking. Luckily, we got in 2 weeks later and saw a neurologist. He immediately knew she had Myasthenia Gravis and had her admitted that following Monday to have tests done. Within a 24 hour period, my husband and I were told that our daughter had an incurable disease and that we needed to get her a thymectomy. (Thymectomy is when you have your thymus gland removed, which is located in your chest.) We were scared to say the least! We decided to do the medicine and skip on the surgery for now. It was just too much to decide. Two months later, the day before her 5th birthday, Safa had an appointment with an ophthalmologist. Seeing a doctor “freak out” is never a good sign. Apparently Safa’s eyes were completely paralyzed. She couldn’t move them- at all! She immediately got on the phone with her neurologist and we headed over there immediately. I cried the entire way there. What the hell was happening? My kid was JUST FINE a few months ago! I was so angry and scared, there was absolutely nothing I could do. That’s the worse feeling any parent can have, helplessness. I met my husband at the neurologist and we immediately scheduled the thymectomy. It was scheduled 20 days later. The day of surgery, I was so scared. My child was about to be cut open. We brought her in and they were really great with taking care of her. She was in and out within 90 minutes. Surgery went well, they got the whole thymus out. Safa did great- for a few months. She started going downhill again. We tried many different meds, treatments, etc. She would ALMOST go into remission and then get worse. We went to get 2nd and 3rd opinions at different hospitals in Chicago and even went to Mayo Clinic. We started to get real desperate and tried homeopathic and chiropractic treatments on top of the other drugs. Then, the unexpected happened. September 8, 2012, we were on our way to the park. Safa said she wasn’t feeling well. Everything is a blur as far as exact details, but I remember carrying her into the living room (she was too weak to walk) so we could stay home and watch a movie instead. I asked her what movie she wanted to watch, I never finished that sentence, she was already gone. All I remember is giving her CPR, ambulances, walking into a hospital with at least 30 doctors waiting for us, being sent to Nationwide Children’s hospitals in Columbus and then making the decision with my husband (via skype, he was overseas at the time) to unplug our child who was brain dead. That was it. Her heart got weaker and weaker and eventually stopped beating that day. It took a lot to get it to start beating again, but by then, she had severe brain damage that caused all of her organs to slowly shut down. That was it, I walked into a hospital with two children, and came out with one. This is what Myasthenia Gravis did to my family. I realized just how uneducated I was about this disease. I had relied on websites that were….hmmm…inaccurate? That seems like a mild word. The websites out there are wrong! I hate to say they are liars, but really their info has not been updated in the 21st century! Anyhow, I decided to start a non-profit called Purely MG Awareness. Safa’s name means “pure”, hence the name. Our goal is to educate and spread awareness. We are working on changing these websites and giving them a better definition and having accurate info, but it’s a challenge. Anyhow, this is my family’s story with Myasthenia Gravis. As of today, I have not heard of another child dying from this disease. So far, my daughter is the youngest. That was Jessica’s story. But I couldn’t post this without saying something about Jessica. (She didn’t know I was going to talk about her.) 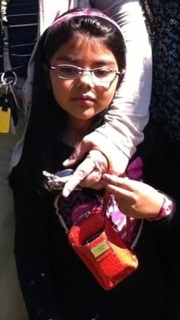 When Safa died, Jessica could have walked away from our community and no one would have blamed her. She didn’t have to stay. In WWMG alone, we often have 2 to 3 members in the hospital on any given day. I can’t imagine that being around these struggles is easy for Jessica. Yet she stays. She’s there nearly every day, with kind and happy words of support. She will not only fight for us, but she will laugh with us, pray with us, and smile with us. She’s there during our hard times and she celebrates our good days with us. She doesn’t have to do any of this. She chooses to stay. Her strength and courage are something that I admire more than words can adequately express. The memory of her beautiful Safa will live on in the hearts of so many, because of the work Jessica does in her honor. ← Previous Previous post: Why Do We Need Awareness? My own MG journey was filled with misdiagnoses, toxic medications and no support Awareness is so important! Thank you very much:-) I’m so sorry about your journey of misdiagnosis etc and unfortunately happens too often! Jessica, you have been so brave about telling your little Safa’s story and have worked tirelessly for MG awareness. I’m so sorry your family went through what it did and that you as a mom had the most dreaded thing happen. I know Safa is in Heaven and she is looking after you. Thank you for your work and God bless. Your story broke my heart. I am so sorry for Safa and your family. Thank you for all you do. 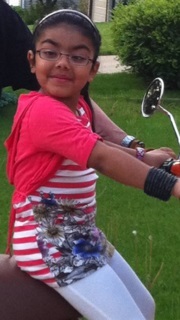 Every one who has MG must have hard time and suffer , but Safa story effected me because she’s a child . how ever i would like to thank you for sharing your story with other pepole . Omy.. I have goosebumps here & tears.. I was already aware of what had happened with little Safa.. But somehow, reading it here, in detail is like hearing about it again for the first time. My heart breaks for you, Jessica! I’m going through a bad time & it’s not helping my MG. But this makes me more grateful to still be a part of the fight. And I’m thankful that you’ve stuck with us! You bring so much to the MG community! How heartbreaking for you all …. You did everything you could for your daughter and I don’t know that more awareness could have changed the out come but admire your dedication to creating awareness for others to benefit from. Oh, Jessica. Everytime I read this I just cry. Not only for your devastating loss, but from your selfless dedication to people with MG. You are AMAZING. I’m a better person for knowing you. As am I Kerri! Love you! I am moved to tears everytime I read this. Blended tears…tears of injustice in the medical community, tears of loss and sorrow as a mother, tears of overwhelming gratitude and amazement at the commitment Jessica has made to correcting the misinformation on MG and being such a wonderful friend and advocate to so many. My wish for you is that as time continues to move forward you are able to continue to feel Safa’s presence in a positive way. Little gifts to show she watches over you. The changes made in her name and honor. The Her beautiful smile. May your family be blessed with love and joy for the rest of your days. You are a true friend, an amazing mommy, a passionate advocate, and an all around inspiration on how to be a good person. Wow Jen! Thank you so much for that! I am just now seeing these and it means a lot! You all are making me cry. It makes me happy to know that I’m making a difference somewhere, somehow. I am a mother of a four year old son with MG, when I heard about Safa’s death I immediately went to my sons pediatrician and neurologist and said “I thought people did not die from this disease” obviously they were wrong. Thank you Jessica for your inspiration and continued efforts for the fight and MG awareness. Emma be sure to know the signs and what to look for! As you probably already know, having a child with MG requires an extra set if eyes and ears. Be on the lookout for everything and don’t hesitate to call your neurologist! 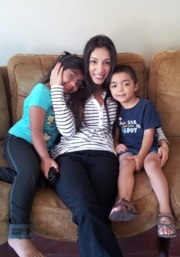 Jessica, I was so touched when I read your post: about you, your family and your little angel. How blessed you were to have Safa and how blessed she was to have you as her Mommy. Thank you sooooooooooo much for sharing your story with us and for sticking with us. May God richly bless you. My daughter is suffering from myasthenia gravis, it is a congenial myasthenia, I have spent a lot of my time and money I had, doctors are researching for different types of drugs but to no envail. Now I’m feeling helpless and harassed as i cannot afford the very costly treatment of my daughter, now she is 16 years of age and all symptoms are like drooping of both eyes can open few mm of her eyes having very high numbers spex i.e. 12 no., unable to properly walk. looking for the help in both terms monitory and advisory as the condition she is in, simply its not bearable. My heart goes out to you Jessica. I couldn’t imagine losing my children (5 and 7 yrs. old) and to have sweet little Safa taken from you at such a young age. Thank you for your work with making others aware of MG and how it effects us. Each of us is unique (like a snowflake) in our journey with MG, but doctors need to educate themselves more on the many faces of MG so those inflicted can be treated. I was diagnosed in 2011, after a couple months of misdiagnosis – an ENT physician’s assistant thought it was reflux. God bless you and your family.